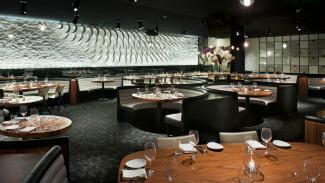 STK LA is not your daddy’s steakhouse. Don’t expect to find antiques on the walls or a stuffy atmosphere. We’re a modern, chic steakhouse for anyone who finds the traditional American steakhouse a tad on the boring side. We want you to mingle and have fun. Say hello to your table neighbors. Buy that handsome gent or that modelesque beauty you’ve been eyeing a drink at the bar. Dance to the DJ and then hydrate with a cocktail or two. At STK, you’ll get more than a great culinary experience… You’ll get the perfect night out. Please login to give reply for the comment.